Our training solutions offer a cutting-edge in this competitive job market and give the trainees a head-start in their career. We assure that the candidates receive better than their expectations by maintaining a holistic approach towards learning. We offer training in more than 150 courses supervised by professional subject experts and our 24/7 access to the LMS (Learning Management System) keeps the students occupied for hours. Loaded with mock tests, assessments, lab exercises and exhaustive projects, each candidate’s progress is constantly tracked through a robust LMS. This is complemented with a detailed analysis after each take that helps learners to know about their focus areas. The training was good covering the topics with right pace. The trainer was good, calm and gentle with good knowledge of PHP/MySQL. 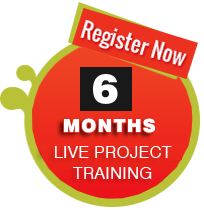 This training will help me in my career growth and providing effective solutions. Attending Web Designing training at HRSS-CDC fulfills my objective completely. Training starting from the basics of Designing to the advanced level of Mobile Specific Designing gives me great exposure to the Website Designing domain. Now, I’m confident enough to meet the new design concepts of my organization. HRSS-CDC is a based to facilitate all type of learners who desire to build up or strengthen their knowledge in IT field. Our primary motive is to lead IT professions to capture the global market. With the aim of flourishing IT Training and widely serve various dignified related employment opportunities. Great training experience at HRSS-CDC. The trainer with a highly practical approach makes the training very informative and interesting. His interpersonal skills make me feel comfortable in the sessions. Good place to take up Java training. The knowledge and the teaching quality provided by the trainer was exceptional. The way he introduced Joomla and Wordpress and relate it to the practical applications had changed my way of thinking. The facilities available helped in improving the learning experience. I honestly appreciate the trainer and HRSS-CDC. My .Net training at HRSS-CDC was great and the trainer was excellent. I am happy because they not just gave training, but also provided motivation and career guidance. Due to their efforts, I got a great job and I am happy to have chosen HRSS-CDC. Many of my friends have also completed trainings from here and they are glad too. I attended Java trainings here. My training experience at HRSS-CDC was really great! The staff is friendly and ready to help. Most importantly, all the trainers are ready to answer all your queries. They had extreme patience and cooperated with me at all times. They covered the complete course content and also gave the right path to prepare for exams. They made my visit to India successful. I’d surely suggest HRSS-CDC to my friends here. Cheers! I would like to thank you and your team for providing me .Net Training successfully. I really appreciate everyone for being so responsive, professional and kind enough to help me in all aspects. The training happened remotely, however I really did not get the feel of distance gap. The trainer helped me to related the course concepts with the IT industry that honed my creative thinking skills. Attending CMS training from HRSS-CDC was a complete package of learning, fun, and problem solving. I appreciate the teaching style of the trainer and his involvement into sessions. I’m sure HRSS-CDC can be the right training destination for training on any technology. Learning Website designing from HRSS-CDC was very productive. The skills I gained here helped me to get a job shortly after training. I’m very thankful to the trainer and administration staff there for helping me out in various ways. HRSS-CDC is a good organization providing specialized training in all the demanding technologies and management areas. I attended PHP training for clearing the certification exam. I’m thankful to the trainer for imparting quality training. I congratulate HRSS-CDC for maintaining the standards in training. HRSS-CDC is a pool of professional courses. I learned the concepts of Core-Java and Android using various tools. The trainers with sound domain knowledge made the learning sessions interesting. THE LMS provided here as part of course was an additional help and a complete trainer in itself. Few days back, I found the reviews for HRSS-CDC to be better as compared to other institutes in Delhi/NCR for Android and iPhone Training. I enrolled here and found the training sessions to be amazing, full of examples. ADT is really an useful tool covering detailed explanation of the topics and practice mock tests. The program managers are very supportive and sincere towards the trainee requirements. Overall, I’m very happy and satisfied on clearing my exam and getting knowledge from HRSS-CDC.